With Disney and Lucasfilm working tirelessly to expand the Star Wars universe like never before, we’re going to get more films faster than at any other point in franchise history. There has, understandably, been a great deal of emphasis on the upcoming J.J. Abrams-directed Star Wars: The Force Awakens, but with this new accelerated schedule, we were starting to wonder when the next installment, the standalone anthology film Star Wars: Rogue One, was going to get rolling, and according to reports, filming just got started. There’s been no official confirmation that the cameras have started rolling on Rogue One at London’s Pinewood Studios, but according to Making Star Wars, filming is indeed underway. Their sources even say that star Felicity Jones has filmed her first scene (according to another source, though one we’re unfamiliar with, Star Wars Aficianado, it’s possible shooting has been happening for as long as three weeks already). It’s possible there are some spoilers beyond this point, they’re minor and completely out of context, but if you’re averse to such things, now may be a good time to turn back. We know that Rogue One, directed by Godzilla helmer Gareth Edwards, revolves around the heist of the plans for the original Death Star. 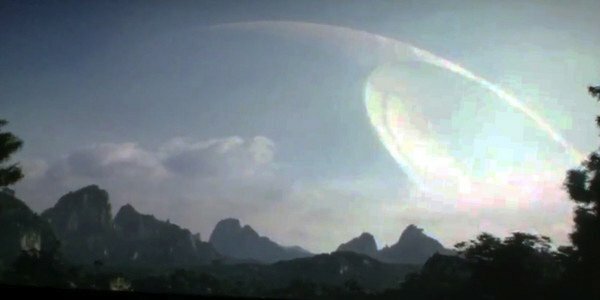 As the jungle moon Yavin 4 plays a key role in the events of Episode IV: A New Hope—it’s where the Rebels hunker down, form a base of operations, and launch the attack on the Death Star—it makes sense that one of the scenes specifically mentioned involves a landing in a lush, jungle environment. Aside from indications that this is an action heavy scene that involves Jones, there’s not much to tell. Some of the set pieces and props from The Force Awakens—specifically landers, Star Destroyers, and various weapons—are also reportedly being repurposed and modified for use in Rogue One. It does, after all, take place almost 40 years before Episode VII, so some alterations are in order. We’re also seeing reports of interiors that sources suspect to be from inside the Death Star itself, which is certainly possible, but it’s also conceivable that these are from some other Imperial craft or outpost, perhaps one of those Star Destroyers. There’s not a ton of specific details to glean from this information, but the simple fact that Rogue One is filming is exciting enough news on its own. Like I said, the plot, as we currently understand it, involves a heist, but the film has also been described as a gritty war movie, with the brutal Vietnam War picture Hamburger Hill being tossed around as a ready comparison. While there is certainly darkness in the saga, going that route is something else entirely. For her part, which is rumored to be a physically demanding one, Felicity Jones has been seen walking around dressed like a Rebel soldier and ready for battle, which sounds promising. One additional thing about Rogue One that promises to be very different from the rest of the saga is that while the previous cinematic installments all revolve around the Force and the Jedi, Rogue One centers on the normal folks, and, you now, weird alien creatures. We don’t expect to see much in the way of lightsabers or Force choking this time out. There’s a certain logic to this. Set between the events of Revenge of the Sith and A New Hope, this is an era where there wasn’t a lot of Jedi activity. After Order 66 came down, most of them were hunted to extinction, and those that did survive, like Obi-Wan Kenobi or Kanan from Star War Rebels, which is also set roughly in this time, kept a low profile in that regard. They didn’t just go around using the Force to grab beers from the other end of the bar. We still have a ways to go to see Star Wars: Rogue One for ourselves, as it doesn’t drop until December 16, 2016. Until then we’ll just have to be content with Star Wars: The Force Awakens when that opens on December 18 of this year. At least we’ll have Star Wars Rebels to keep us company until then.